The 24-Hour Mommy: The Electrolux Dynamica, My Electric Walis! 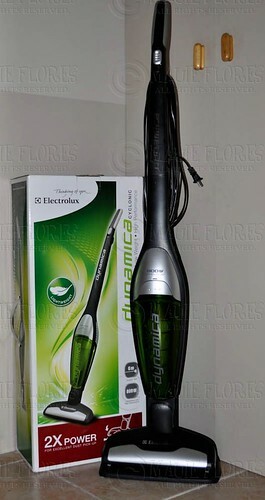 The Electrolux Dynamica, My Electric Walis! I am allergic to dust. Not only do I start sneezing after dusting furniture but I also tend to have skin rashes after doing a general cleaning. This is the reason why I specifically tell my alalay to use the vacuum cleaner instead of dusting the furniture and sweeping the floor. Still, my alalay uses a broom for quick clean-ups. Sometimes, I just let him be because I understand how it can be a hassle to set up our vacuum cleaner just to sweep off dust under the table. That was before I got my "electric walis"! Meet the Electrolux Dynamica, my "electric walis"! Only weighing 1.6 kilograms, it becomes very handy for me to bring it up to our rooms and do the cleaning myself. But don't be fooled of its weight! It's very powerful and can pick up even big particles of dirt from the floor. It's versatile, too. 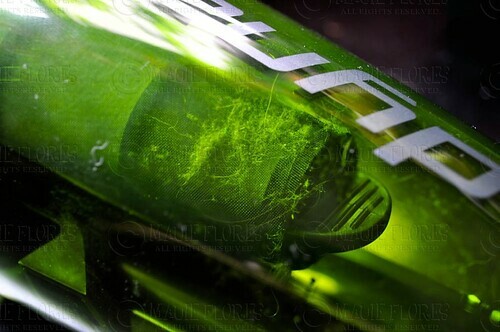 I use it to clean our tiled floors, our wooden steps, the carpet in my boy's room, and even the vinyl tiles of our room. It has a spiral brush that acts like a broom for maximum cleaning coverage. 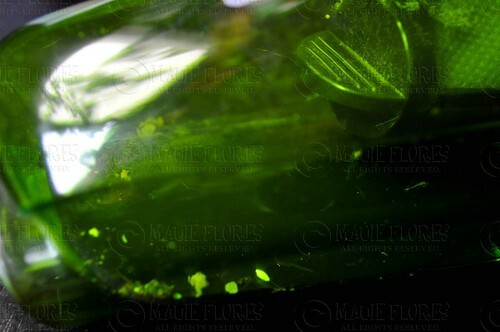 Then, there's the filter that keeps the dust and dirt particles in its clear plastic bin. Once a week, my alalay detaches the spiral brush from the Dynamica and washes it in soap and water together with the net filter. The Electrolux Dynamica also swivels from side to side which makes cleaning hard-to-reach areas and corners a breeze. It can also be used even with it's handle almost touching the floor to fit in spaces under furniture. I actually sweep the dust under our bed with no difficulty. I heard that there's an ongoing promo for Electrolux Dynamica. Just swap your old broom when buying an Electrolux Dynamica and get Php 1,000 off from your purchase. Hope you switch to an "electric walis," too. Trust me, you won't regret having this. Promo runs until May 31, 2011 only! For more information about the Electrolux Dynamica, visit www.electrolux.com.ph or like them on Facebook at www.facebook.com/thelittlewhitebook.